The paperwhite narcissus (Narcissus papyraceus) is a type of daffodil that can be forced to bloom indoors during Colorado’s winter. It is usually available in garden centers as soon as the spring bulbs are for sale. The bulb can be planted in potting soil, or nestled in pebbles or glass marbles. The pebbles help you arrange the bulbs and keep their “heads” above water. You could use sea shells, plastic building blocks, plastic figures or animals — try anything that is waterproof. The roots will grow down into the pebbles. Pull the pebbles out of the roots when the bulb has finished blooming. If you decide that a different container would work, the bulb will not suffer at all if you take it out and rearrange it. You can also buy Paperwhite Kits with a pre-planted container. All you do is add water. 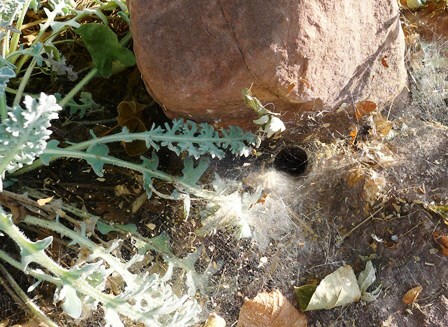 The plants can grow to more than a foot tall. 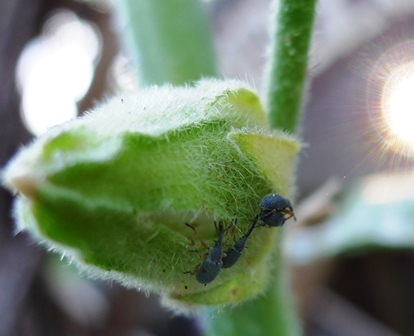 Tie them loosely to a stick or tie them together as shown in the photo below (© Colorado State University Extension, Planttalk 1322.) 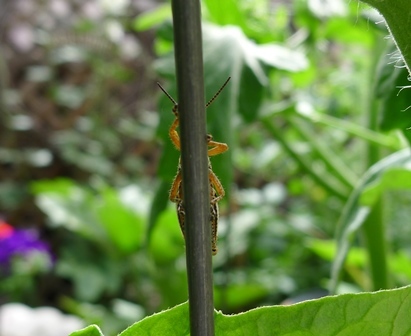 If the bulb receives bright, indirect sunlight it will not get quite as tall and “leggy”. I like to put the bulb, marbles and water at the bottom of a tall glass cylinder. The vase contains the leaves and keeps them from toppling over. Once the bulb has bloomed you can choose to cut the bulb off the bottom and arrange the flowers in another vase. It takes 4 to 8 weeks for the bulbs to bloom. In my experience they bloom quicker in the Fall and more slowly in late Winter. If you start a new bulb every few weeks you will have continuous flowers. The bulb blooms only once so throw the bulbs away when the flowers wilt. 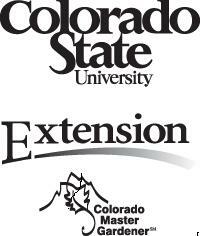 For more information go to the Colorado State University Extension Service, Planttalk #1322. 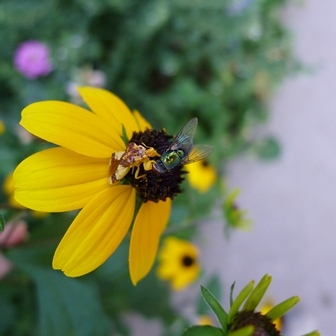 Interested in Becoming a Colorado Master Gardener? 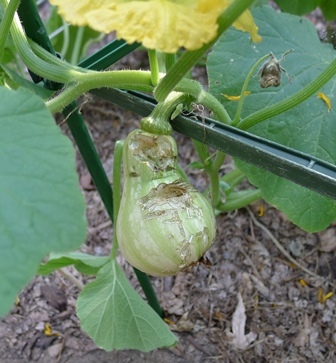 Posted on September 17, 2015 | Comments Off on Interested in Becoming a Colorado Master Gardener? Comments Off on Interested in Becoming a Colorado Master Gardener? Like many gardening tasks, tulips, daffodils, crocus, hyacinths and other spring bulbs demand our patience. Plant now and next spring you’ll reap the rewards of abundant beauty. It’s a good lesson in delayed gratification! Here are a few tips to insure success. Mid to late September is ideal as the bulbs have time to develop a strong root system before a hard freeze, but can be planted into October if weather permits. Garden centers have the best selections in mid September so if needed, purchase early and store in a cool, dry place until you can get them in the ground. 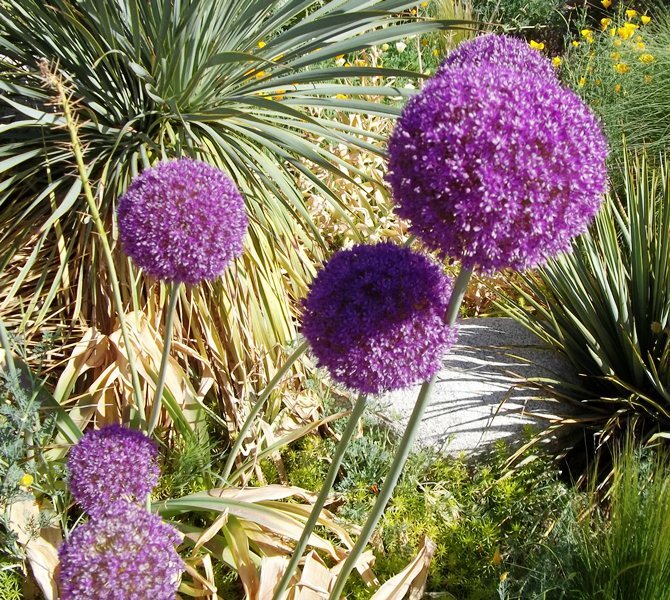 You’ll want a mostly sunny location with good drainage as bulbs can rot in soggy soil. Consider where you’ll enjoy the blooms the most and what other spring flowering perennials or shrubs the bulbs will compliment. Perennials such as pure white candytuft, (Iberis sempervirens), lavender or pink creeping phlox (Phlox subulata) or stunning basket of gold alyssum (Allyssum sempervirens) pair nicely with mid-season bulbs. You may find some great deals on these spring blooming perennials at the local garden center right now, or divide some plants already in your beds. 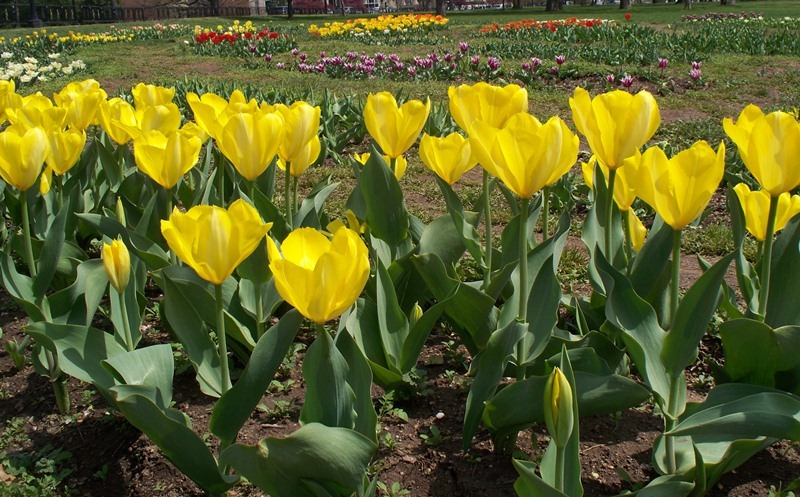 Some bulbs bloom simultaneously with flowering shrubs such as forsythia (early bulbs), lilacs (mid to late bulbs). After blooming, bulb foliage should be left on the plant to die back and re-nourish the bulb. This foliage can be camouflaged by emerging perennials or annuals, so it’s good to plan for this step now. Bulbs are planted with their necks up and their hips down; a good rule of thumb is to plant 4 times the height of the bulb. Amending soil with organics such as spagham peat moss or compost is recommended. 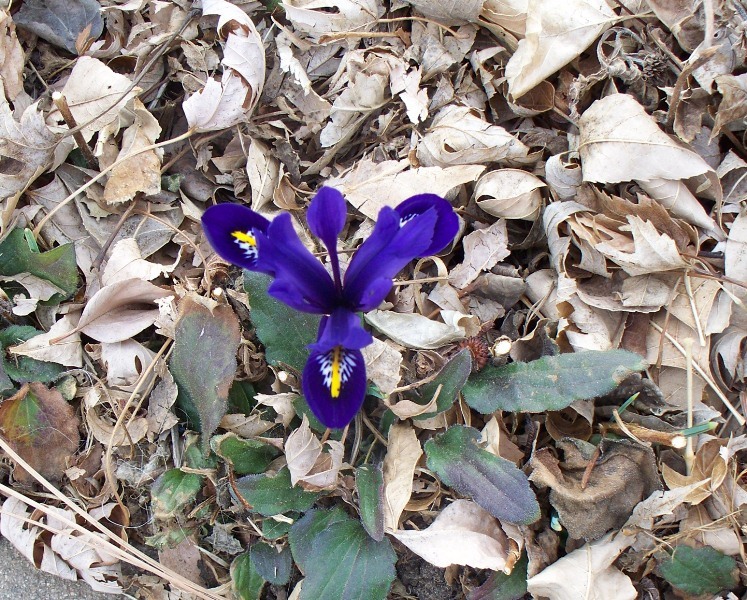 Bulbs, like most plants, won’t thrive in compacted soil. Research at CSU has shown that in our region, Super Phosphate is the most effective fertilizer for bulbs and should be applied at the root base and in the loosened soil below the bulb so that the nourishment can be absorbed. Further, CSU’s studies indicate that bone meal is not effective in our soils, although it is frequently sold alongside bulbs. There are a wide variety of pre-packaged selections of tulips, daffodil (narcissus), hyacinths and alliums to name just a few. When buying packages of bulbs, be sure to inspect the them to insure they are firm, uniform in size and large for the type (compare to the open bins of like bulbs is a good idea) and unscarred. Many bulbs are sold from boxes so you can make your own selection. By mixing early, mid and late bloomers of varying heights, colors and textures, you can have a spectacular start to next year’s gardening season. Just be patient.